Grab a stool at the bar of Buffalo’s Founding Father’s Pub, order a round and ask owner Mike Driscoll to quiz you on Buffalo’s rich presidential history. Driscoll is a former social studies teacher and has filled the walls of his pub with presidential memorabilia over the decades; trivia night on the first Tuesday of every month is a Buffalo staple, as are the free popcorn and nachos served there. Driscoll might launch into a question about which U.S. President took the oath of office just around the corner from his pub. 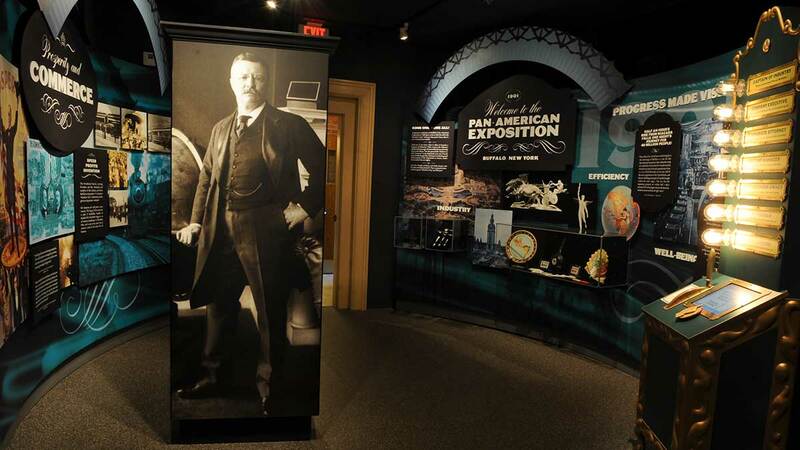 The answer is Theodore Roosevelt; a national historic site recreates his first steps as commander-in-chief. Roosevelt succeeded William McKinley, who died from an assassin’s bullet at Buffalo’s 1901 Pan-American Exposition. Or, Driscoll could ask which two presidents hailed from Buffalo prior to their rise to the White House. The answer, of course, is Grover Cleveland, who served as Buffalo’s mayor, and Millard Fillmore; you can tour the house Fillmore built with his own two hands in East Aurora. Driscoll might try to stump you with the name of the Buffalo native who interviewed the presidents on national television for 17 years. That would be the late moderator of “Meet the Press,” Tim Russert, whose NBC office is on display at The Buffalo History Museum, having relocated from the Newseum in Washington, D.C. Or he could quiz you on the name of the Buffalo made car that served as the automobile of the presidents for nearly 20 years. Answer: the Pierce-Arrow, which has its own museum in downtown Buffalo. By the time the questions are over, you will have amazed Driscoll with the breadth and depth of your Buffalo presidential knowledge. Just don’t tell him we told you.